I’ve used power service products for years and years.. I had a 1986 diesel audi car and used it to keep from gelling in the winter time…. 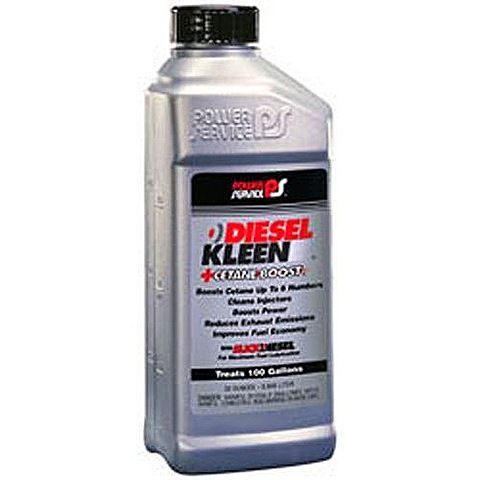 I have used diesel kleen in the 2008 motorhome since it was new…. The increase in Ctane rating alone makes the engine spin so smoothly and increases power and pulling…. This is especially noticeable in the mountains… I used it every fill up while in the mountains out west… Good stuff! Glad to have the heads up on the booster. Enjoy your new landing spot! Thats “Da Bulls” in Chicago. ^Tom Westerfield beat me to it.